Road hazards are most commonly recognized as stray animals, reckless drivers, pedestrians and bikers. However, stationary hazards, such as potholes, may cause the same amount of damage, if not more, to your vehicle. Potholes are the inevitable nuisance that all drivers have experience at least once in their lives. If the pothole is big and deep enough, driving over it may require costly tire and vehicle repairs and replacements. Here at Seal Pros Hawaii, we’re dedicated to smooth roads, and timely asphalt repairs. Potholes are typically easy to spot and safely avoid, but, in some cases where your ride is particularly bumpy, swerving will bring danger to everyone around you, and the hole is unavoidable, its important to know the potential damage to your vehicle. Tires are the first things to think about after encountering a pothole. Check for punctures or considerable wear after a run-in. With exceptionally large and deep potholes, examine the actual wheel rim of your vehicle, which in worse case scenarios will require a costly and heavy repair. Next, be sure that the pothole didn’t tamper with your steering system. 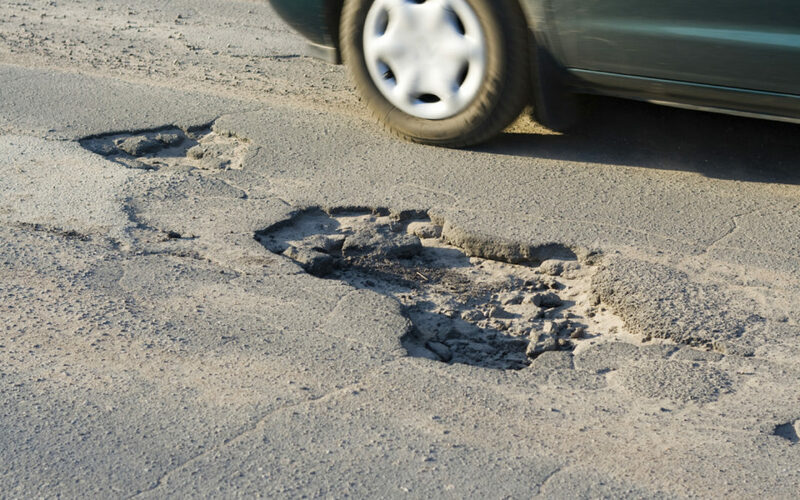 Big potholes will misalign your vehicle and may even cause damage to your suspension. If you feel any unusual vibrations in your car after driving over a pothole, be sure to visit your mechanic as soon as possible. Potholes are no joke. They are a danger to the roads and all those on it, cause unwanted damage to vehicles, and are unnecessary eyesores. Call us at (808) 591-6086 for excellent and affordable asphalt maintenance at your business or residential property. Let us help you keep your roads smooth and your parking lots pretty.